A special SHR-based solution for Openmoko FreeRunner. Welcome to GeoSharing's website ! 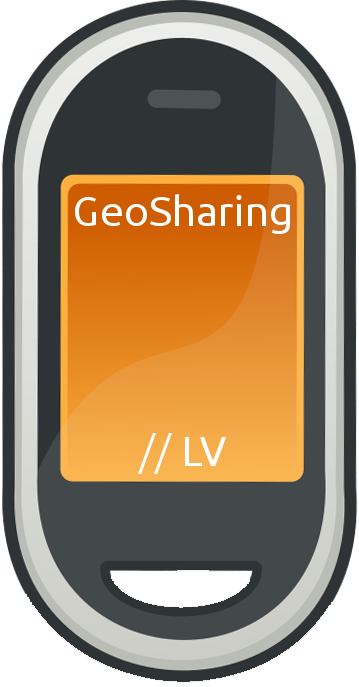 The GeoSharing project is a system allowing users to share their geographical position with other users. The system makes it possible for every user to see the displacements of other users on a map. This website presents most of our work. GeoSharing has not been released yet but you can browse the wiki (and the download section) to find test-releases, screenshots etc. Don't hesitate to contact us for any information or collaboration. The system is deployed on Openmoko Neo FreeRunner devices which are open smartphones running an embedded version of the Linux operating system. Those devices are equipped with a GPS and a Wi-Fi module as it is today the case for many modern smartphones. In order to achieve the GeoSharing main goal which is to share geographical positions over a group of users and assuming that every user has an Neo FreeRunner with him, the GPS module is used to get the location of the device on Earth and the Wi-Fi module is used to spread the information between the devices. There are many uses for location systems. Such systems can be used to track the positions of boyscout patrols for the organizers. But it can also have applications in more critical fields such as military and medical rescue situations. When soldiers are in operation, locating the different military units can indeed be crucial for tactical reasons. From a medical standpoint, it is really important to locate the injured soldiers as quickly as possible in order to rescue them. One can expand the application to a larger scale such as disaster relief units that need to be dispatched in an optimal way for rescuing victims. In these situations, it is crucial for medical units to have an effective location system with them in order to reach the right place as fast as possible and know where other rescue units are located. Copyright © GeoSharing Project 2011 Laurent Lamouline, Vincent Nuttin.